When we visited Game Over at the beginning of this summer, they had one location in Rome – Via Giuseppe Marcora, which is also the location we visited. By now, they have opened another one. So when checking out and booking their games, make sure to have the right address before heading off for your game. Quick side-note – while booking, we ran into a problem on their website. 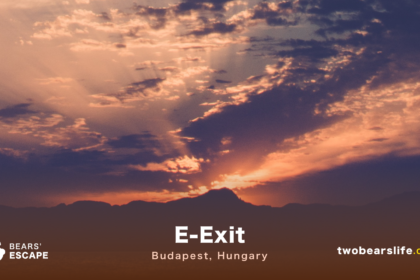 In general, they offer one of the most tourist-friendly site – every aspect of the website is available in english, which is great. But – for some kind of reason, the website wouldn’t loud any room information on Chrome. So if you run into the same problem as me, just switch to a different browser (like Firefox or Safari), where everything worked fine. Game Over’s Location at Via Giuseppe is nicely located quite close to the city centre. You can reach it after a 15 to 30 minutes walk, depending on your starting point, or you just hop into the tram, that stops nearby. We arrived a little bit too early, so we waited in a nice local snack-place around the corner. After taking a short break from sight-seeing with a refreshment, we were ready and excited. We were welcomed by the owners of Game Over as well as our game master. 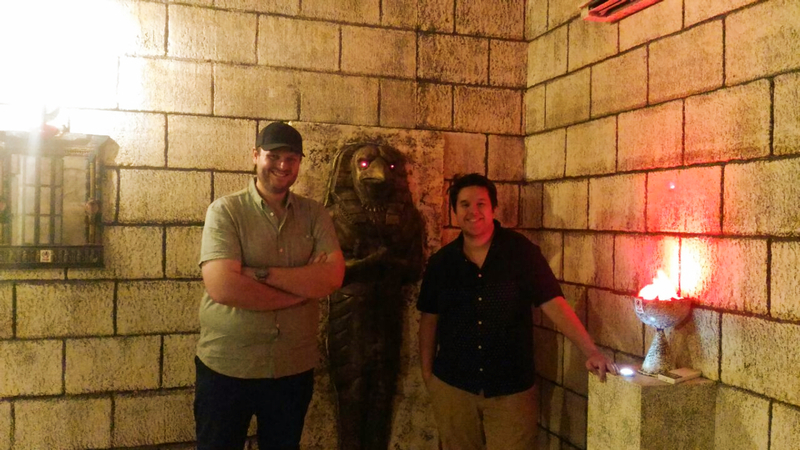 We booked two of their rooms – the Chocolate Factory, which is clearly inspired by Willy Wonka, and another Egypt-themed room called Tutankhamun’s Tomb. For many years it has been kept as a great secret. Rumors said that there is a special hand made machine that is giving this Magical taste to their Chocolates. All these till tonight, cause you and your team are dedicated to sneak into the restricted room in the biggest chocolate factory of Switzerland! Your purpose is to find how the machine works, put it in operation and steal the secret recipe of the best Chocolate ever made by Humans. After receiving our pre-game instructions and safety notices, the game master closed the door and the time started. The idea of the chocolate factory is quote cool and we have not played anything like it before. The connection to the Willy Wonka stories are strong in the room itself too, which means you can expect colorful decor and crazy puzzle- and game elements, that make only sense because of the world the game is set in. In general, we moved quite well though the room, although we got stuck here and there on some game elements and needed some notches from the game-master. Mostly we failed in searching everything properly – which is clearly one of our flaws, if you follow our reviews. 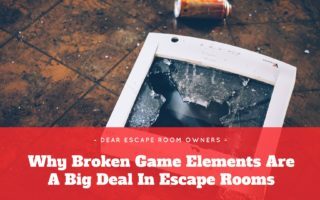 One other issue we encountered in the room were the colors – they are connected to more than one game element, which is absolutely ok, but also leads to confusion about what element actually belongs to what puzzle. But those are just two minor flaws. The room decor is nice and looks great, although the room certainly could include more decor and design elements to improve the level of immersion. The puzzles are quite linear, so we would recommend a group of 2 to 4 for enthusiasts. Now you have reached the main hall. If you open this door, you can find out the secret of the great Pharaoh. But be careful! Are you long than an hour here, you will include his curse forever. After taking a short break to catch a breath, we were ready to tackle the secrets of (yet another) Egyptian escape room in Rome. We had the same game master as in the first game, so we were already familiar with the proceedings. 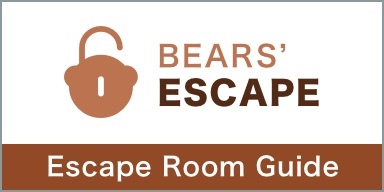 We got the short briefing inside of the room and were also told and warned about a little twist in the end, Meaning – it is actually possible to lose this game, even you solve every puzzle in the room in time, if you make the wrong choice in the end. Sounds cool – we were up for the challenge. Once the gamemaster closed the door, the time started running. 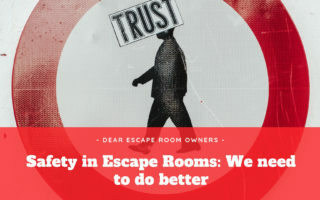 Like in the Chocolate Factory, you find yourself in a nicely designed room – you clearly saw the effort that was put into those rooms to make them look theme appropriate. Similar to the first game, we started out good, but struggled with some portions of the game. Although we had fun, we did not quite understand some of the leaps of logic in this room though. There are clearly some puzzles in the room that could use a little work to make them flow better, in our opinion. Never the less, most puzzles were theme appropriate, which is always a plus. By the way – we have not talked about their clue-system. You are allowed to ask for a hint every 10 minutes, which realistically limits your clues to 5. We were happy see that they are not too strict about this rule though – there was an instance when we just did not understand what we had to do and the gamemaster talked with us over the speaker in the right time. The last puzzle was a nice twist and – we fell right into the trap. Which means, we would have escaped, but the pyramid still locked us up for eternity. Which was totally our own fault – but I guess we have enough time to learn from our mistake now. All in all, we enjoyed Tutankhamun’s Tomb a good deal, although some puzzles were not as logical (to us) as we would have liked. Game Over is a franchise based in Greece, with rooms in countries like Germany, UK, Israel, Australia and many more. So it should not come as surprise that they know what they are doing. 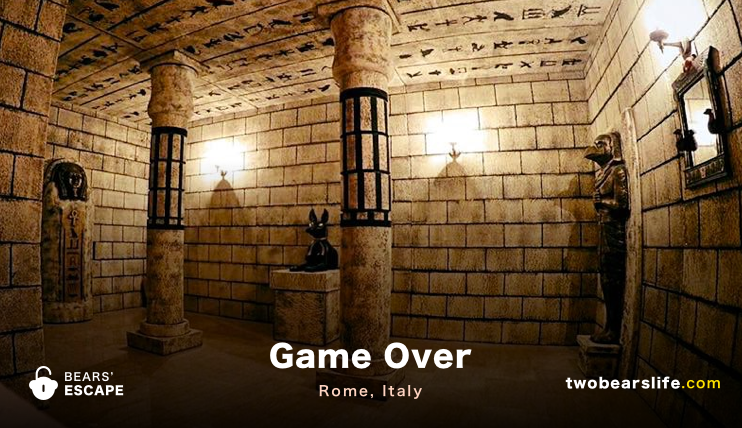 And Game Over was clearly the most professional Escape Room company we visited in Rome – hands down. From the fully translated website to the tourist-friendly staff to the room design and setup. It is very obvious that there is a bigger franchise behind this location, and thats not always a bad thing. Sure, we prefer to check out local and more diverse rooms because we like the idea to support smaller companies over big, worldwide franchises that set up the same games in every country. But that does not mean that the games are bad – we have another franchise holder like Fox in a Box that has reliable quality in most locations. 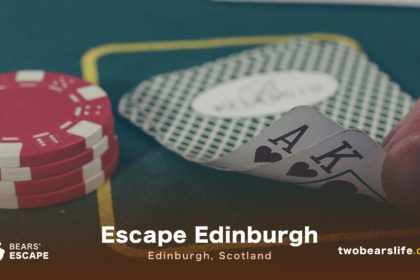 Since we have not played Game Over games in any other location, we can not really compare them with other locations, but the company was clearly one of the best in Rome. 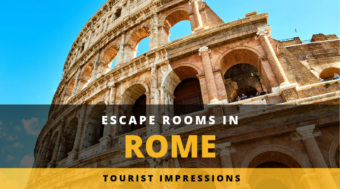 Sure, the rooms could be designed with a little bit more love to detail and some puzzles did not follow our own path of logic, but in general, we had a good time in Game Over Rome. 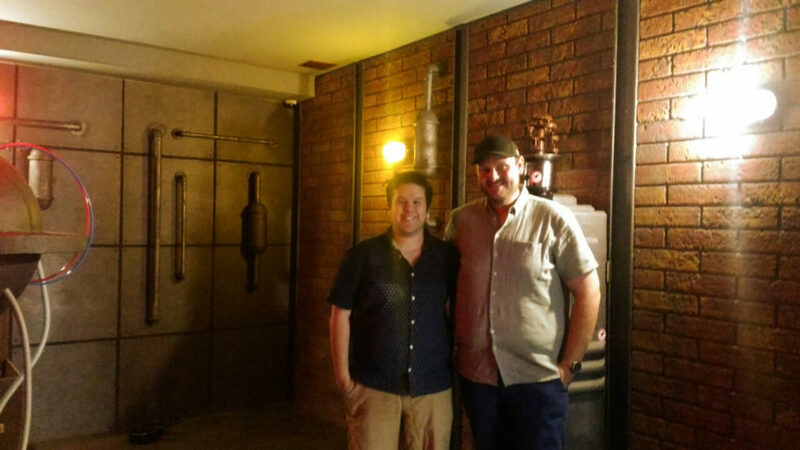 Sadly, we were a little bit too early to check out their newest rooms – having a Game Of Thrones room is definitely a tourist draw which we would have liked to check out too. Game Over is a very well run franchise in the heart of Rome. They have two locations (by now) and we tested two of their seven games. The website as well as the staff is tourist friendly and we had no problem to enjoy the games in english. Both games are very linear, so we would recommend groups from 2 to 4 for enthusiast. We struggled with some puzzle logic, put in general the game design shows effort and looks great. 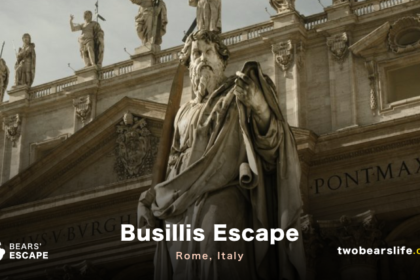 One of the best locations in Rome for Escape Rooms.